The title of this episode, “The Honeymoon,” can’t help but feel ironic once you take into account the fact almost everyone ends this hour worse off than they began it. FitzSimmons may have shared a trip back across the pond together—“I’m protecting England from evil robots with the man I love”—but it came at a cost. Our team is still fractured, and that division is creating potentially fatal problems. For every advancement we get thanks to Fitz, Jemma, and Yo-Yo running off together, something else threatens to derail it all. The three of them happen upon the location of the Particle Infusion Chamber, only to have their arrival broadcast to Hale. Yo-Yo takes out Ivanov, disrupting communication between the mechs, but Fitz and Jemma are taken hostage by Ruby and Alex, the threat of fixing the tech or dying hanging over their heads. Every lucky break is followed by a landmine, a dire portent of doom. It’s one step forward, one slowly dying Phil Coulson back. 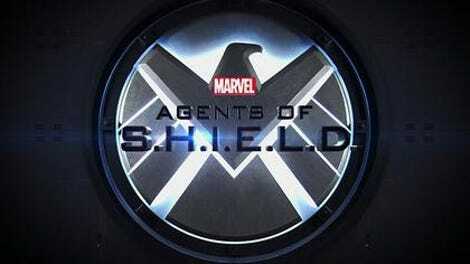 The specter of Coulson’s possible impending demise isn’t just an albatross hanging over the heads of the entire team. It’s yet another rift between our protagonists, a point of contention that could bring everyone to blows or worse. The fatalists (Yo-Yo, Jemma, and Leo) remain mostly convinced in their invincibility, despite Fitz’s admission he’s no longer so positive that the future is inalterable. And Yo-Yo’s reveal that her future self insisted they need to let Coulson die—that trying to save him is what brought about the end of the world—is exactly the kind of dangerous knowledge that Framework-affected Fitz could decide requires action regardless of what anyone else thinks is the right thing to do. And with Yo-Yo inclined to believe herself, that would put them on an inevitable collision course with the others, especially Daisy and May, who will continue to put Coulson’s life at the top of their agenda. But while May’s plan to keep him safe is understandable, some of what she said tonight wasn’t so clear. The big announcement isn’t shocking—of course she loves Coulson—so much as her simply saying it out loud is. The chance to shut Phil up and get him to think about others, instead of accepting his own resigned countdown to death, sticks because it’s coming from her. And while calling out Daisy for not being ready to lead is important, throwing Daisy’s commitment to Coulson under the bus is a strange way to go about it. May says Daisy wasn’t ready because her fidelity to Coulson came before everything else; but isn’t that the same commitment May made just a little while ago? It’s one of those speeches where the sum is greater than the whole of its mismatched parts. But despite the larger narrative concerns and fractious relationships, this was mostly a hurry-up-and-wait episode, where a lot of kineticism and beat-the-clock intensity helped make up for some of the lesser emotional beats. “The Honeymoon” begins with three S.H.I.E.L.D. agents jumping out of a plane, and that pace is more or less kept up throughout. The “action-packed vs. over-stuffed” struggle that has defined this season mostly stays in the former category, here, thanks to director Garry A. Brown keeping it streamlined without inducing whiplash. Daisy’s fight with Ruby is taut and gripping, even though you occasionally wonder why Daisy doesn’t re-quake her into unconsciousness sooner. (Though I will say, showing that Ruby has the power to dodge Daisy’s blasts when they’re too narrowly aimed helps a little.) Deke’s getting shot primarily turned into a way for Mack and Piper to enter a medical drama, and since there was little danger Deke was going to die—not yet, anyway—some of the tension cooled once he hit the operating table. The stronger action was more a chance for our other team to come to grips with their own internal demons. This was best characterized by having Fitz and Jemma’s shootout with the mechs clarify their own feelings of uncertainty, the brush with death poking holes in the surety of their sense of invulnerability. (“I don’t know what we were thinking!” Simmons shouts to her husband during the melee, after her gun jams.) Better still, the couple revealed their new strategy: “We never leave each other’s side any more.” In the midst of the chaos, to spill that bit of heartfelt character development is damn good writing on the show’s part. And poor Elena, who has been dealt such a bad hand—or lack thereof—during this season, manages to shake off the inability of her new metal arms to enter Inhuman speed, and even takes out Ivanov in the process. Seeing his robotic insides seems to trigger her strength, and she overcomes all that sadness and pessimism that’s been weighing her down, and lets loose with some cathartic pummeling. It finally appears as though she’s gotten past the need to just talk a big game, and returned to delivering one. Yet our Hydra antagonists actually progressed more than our heroes here, especially Ruby, who finally found the courage to throw off the weight of her mother’s expectations (literally) and move on without that safeguard. “I tried to be you!” she yells at Hale, and her mom’s realization that she’s pushed her daughter into the same impossible predicament in which she found herself all those years ago finally arrives. Hale was meant to raise a monster, and she did; but Ruby’s a Frankenstein’s monster, all hurt and tragic need. If she errs on the side of remorseless psychosis, it’s fueled by a desperate desire for the opposite: She wants a reassuring love from her mother. And now she’s risking the whole world just to make Hale proud. The saddest of all tragedies to unfold is that of Glenn Talbot’s. His journey has just gone from heartbreaking to gut-wrenching, as the military man has finally been rescued and reached out to his family, only for an even greater disaster to befall him. He’s been activated, a sleeper Hydra agent akin to the Winter Soldier, albeit without the metal arm; those months of torture were also months of brainwashed conditioning to prep him for a time such as this. The conversations he has with Daisy, his feelings of failure (“She broke me,” he tells Coulson, voice now breaking too), and the need to set things right, are being undermined by the same people who caused the tragedy in the first place. This S.H.I.E.L.D. team is in serious need of a regrouping and a collective heart to heart conversation. Unfortunately, at the rate things are going, catastrophe is going to catch up to them all long before that happens. Finally getting some new locations—the skydive, the snowbound woods—is giving the show’s visual aesthetic some much-needed variety. Fitz should maybe not try to articulate the silver lining of having your arms severed. It really was surprising to realize how much Coulson has missed in his not-all-that-long absence. How quickly times flies when you’re traveling across the galaxy to meet with aliens who may or may not want to enslave humanity. That Particle Infusion Chamber looks awfully familiar, no? A death-defying taste test can&apos;t quite anchor a middling Agents Of S.H.I.E.L.D. 28 years of Hydra history unfold on an MCU-packed Agents Of S.H.I.E.L.D.